Bob won his in USAF Flying Training Class of 51-G and flew combat in Korea, 49th Fighter Group – 8th Tactical Fighter Squadron. 125 Combat missions in the F-84 in 1953, and later was a Fighter Weapons School (top Gun) instructor in 1959. 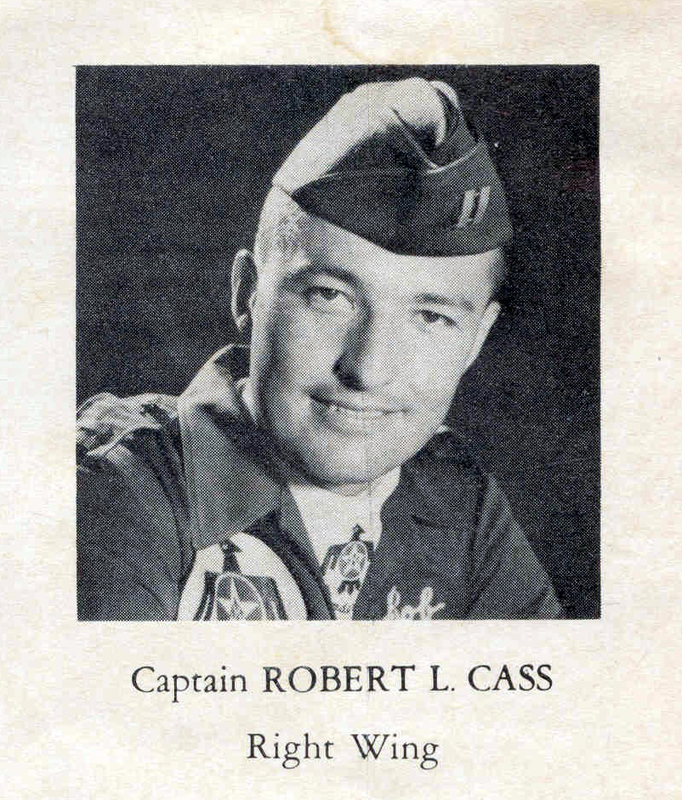 Bob was selected for the USAF Thunderbird Demonstration team in 1960 (Video at this link) and flew Right Wing and was operations officer through 1962 in the F-100C. Next he Commanded the 497th (Nite Owls) in the 8th Tactical Fighter Wing in 1969 and flew 177 Combat missions during the Vietnam Conflict in the F-4 and later Commanded the 78th TFS, 81stTFW Bentwaters/Woodbridge, England. Moving back to THE US he commanded the 497th Tactical Fighter Wing at Moody AFB Geogia — converting the wing from the Training Command mission to Tactical Air Command.